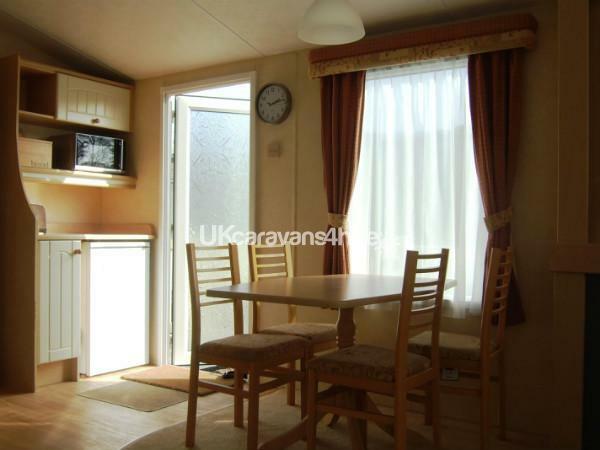 Additional Info: This modern open plan caravan has just been refurbished with new carpets throughout and new beds throughout. It also has the advantage to two toilets. 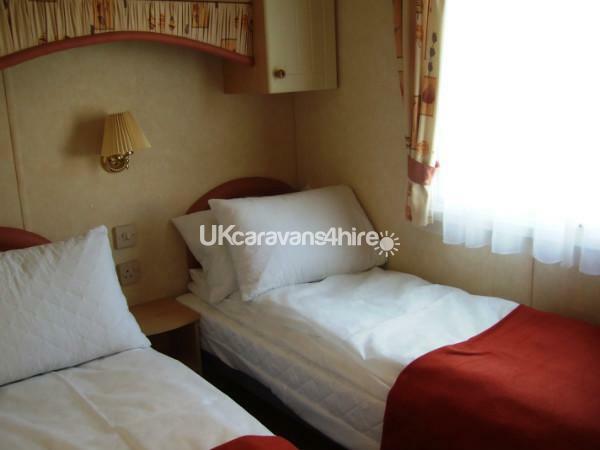 £50 deposit required with the balance to be paid six weeks prior to holiday. This can either be paid by bank transfer or cheque. 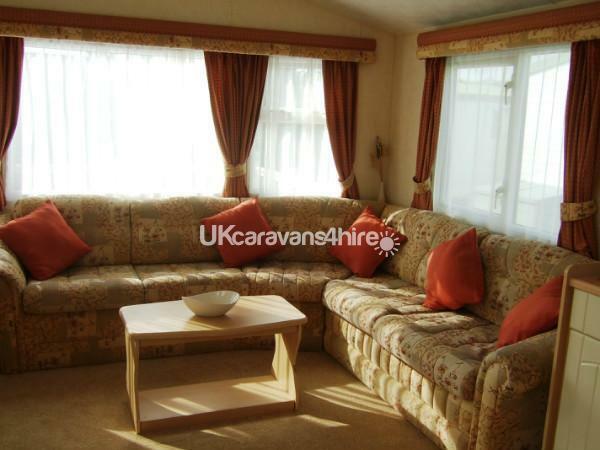 This modern open plan caravan for rent is double glazed and fully heated throughout and is located in a sunny position. It also has a balcony and a barbecue provided. 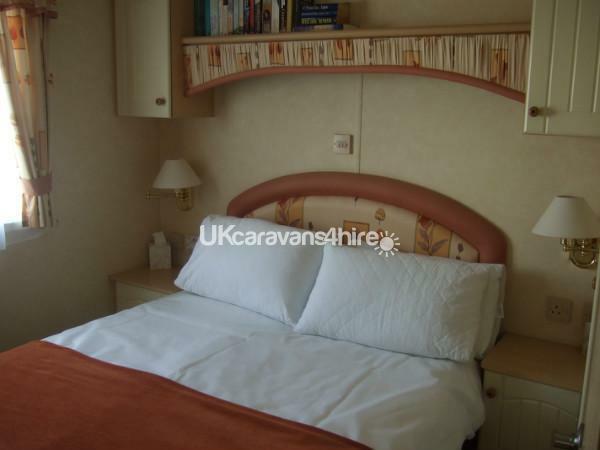 The caravan has been fully refurbished with new carpets fitted throughout, new mattresses and a new fridge/freezer. 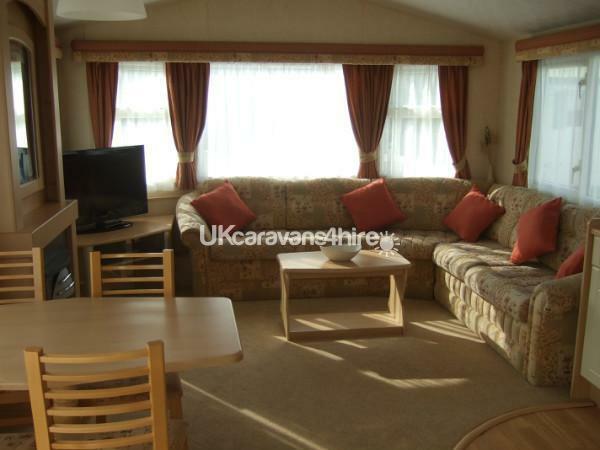 It benefits from an open plan lounge with modern flame effect electric fire, 32" TV and DVD player and a small selection of DVDs for your use. 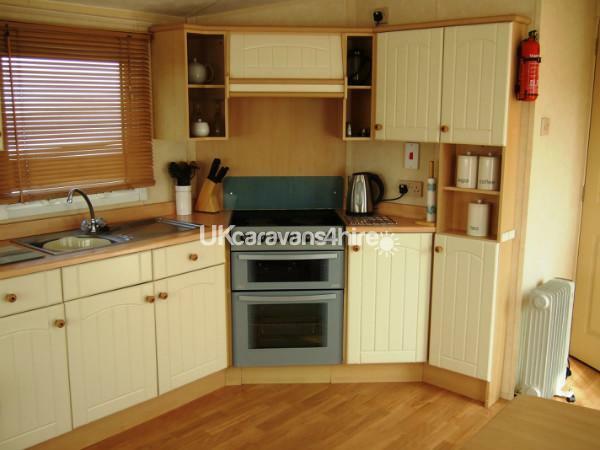 The kitchen is equipped with an electric cooker and hob, microwave, fridge/freezer, toaster and kettle all the kitchen utensils etc. 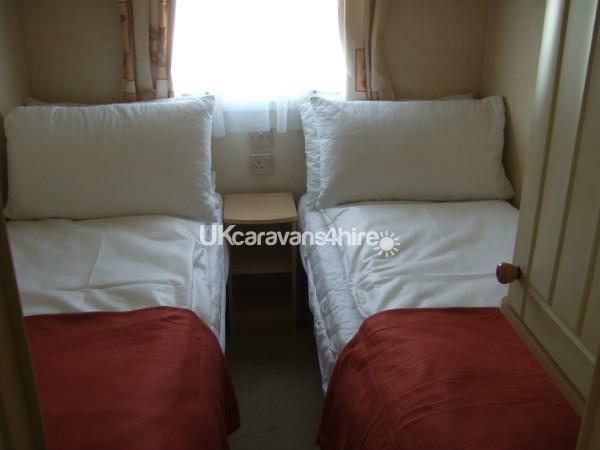 The main bedroom has a TV, walk-in wardrobe and an en-suite and there are two further twin bedrooms, both with a foldaway bed allowing room for a travel cot or making a larger single bedroom. The main bathroom has a walk-in shower, plus second toilet and handbasin. 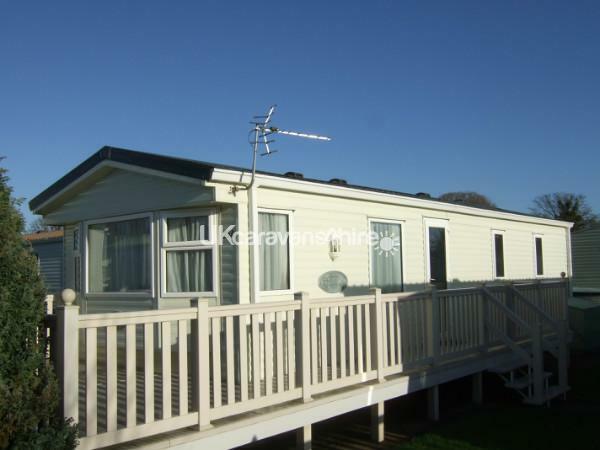 This lovely caravan provides everything to ensure you have an enjoyable family holiday. Additional Info: Archery, bike hire.